Unibet Casino Bonus April 2019 - 10 No-Deposit Free Spins, 200% + 190 More Spins + Promos! Up to 200 free spins on top-rated NetEnt slots + a 200% match to your first deposit are available this April at Unibet Casino. Mark's Note: You get 10 free spins simply for registering, then up to 190 more once you make a (small) deposit. Unlike at smaller casinos, the benefits keep going long after your welcome bonus has been cleared. You’ll find a ‘cash drop’ promo (which can be generous! ), mobile slots offers and a blackjack promo which involves collecting special gold cards for bonuses. Alongside this are reloads, one-off and short-lived promos and offers from the Unibet Sportsbook and Poker rooms too. With more than 600 games to choose from, including slots from all the best software houses, you’ll see why Unibet casino is my number #1 choice. Check out Unibet Casino and see the latest deals now! Head to many online casinos and you might find yourself being offered a 100% deposit bonus, at Unibet this month you’ll find yourself being welcomed aboard with a solid 200% matched bonus. This bonus could earn you as much as £200 if you deposit the maximum £100. You can deposit in Euros, USD, CAD and many other currencies. This deal has a 25x your bonus amount play through requirement, which is low compared with other major casinos. If you choose the live dealer casino, then you’ll need to bet 35x that bonus. You have 30 days to complete your wagering, and if you withdraw before it is completed the bonus does get forfeited. As is usual at online casinos, not all games give players the same contribution to clearing your bonus. 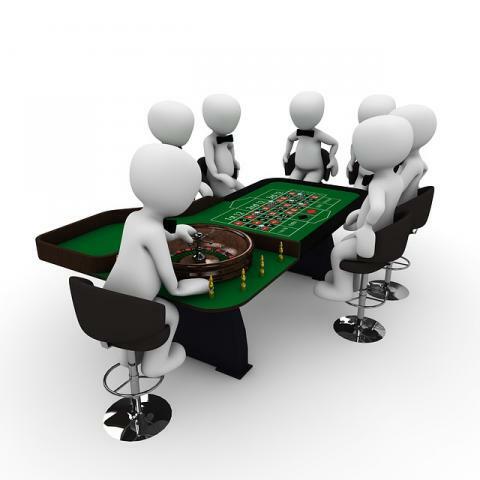 For example, only 10% of your wager when playing at a table game or video poker will go towards clearing the bonus. Online slots players will have no such problems as the total stake will contribute towards bonus clearance, while bingo players have it best of all, as the bonus contribution will be double the stake. I recommend you check the Unibet website for the terms / weightings, especially if you prefer one of the more niche casino games. Get Up to 200 Free NetEnt Slot Spins! 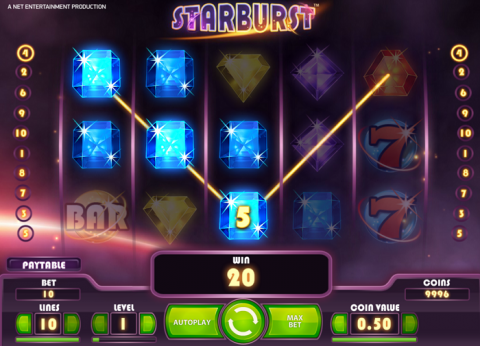 Before you even make that first deposit, players can earn 10 free spins on one of the NetEnt slots simply for registering. That first deposit will also earn the player additional spins – a £10 deposit is worth 40 free spins, while any deposit of £100 or more will see the player gain an additional 190 free spins. Grab your spins now via www.unibet.com! Unibet also offer a refer-a-friend bonus, where up to £200 in extra cash can be yours. You can invite up to five friends in all, and for each friend that registers, deposits and meets the bonus requirement a payment of £40 will be hitting your account. This doesn’t just work for you however. As well as receiving the welcome bonus offer, your friends will also receive a £30 money back offer. It might be a good idea to play on Tuesdays as you might be the recipient of a very welcome cash drop. You’ll simply need to wager at least £10 on a selected slot (if you’re playing on a mobile device this amount is reduced to just £5) and you’ll be entered into a prize draw where a total of £700 is up for grabs. These cash drops range from £3 to £14, meaning that a large number of players will be on the receiving end. If you playing slots on the go, you should certainly have at least a spin or two every Sunday. Wager at least £10 on a Sunday and you’ll find 10 free spins are added to your account within 72 hours and you’ll have 7 days to use them. Any wins in this promotion will be awarded as bonus cash. Blackjack enthusiasts will enjoy their weekends too. Simply head to the live casino and play between 14:00 and midnight on Saturday and Sunday and you’ll find gold cards are added to the pack. There are 175 of these in total. The first 100 have a value of €10, while the next 50 are each worth €20. The top paying 25 cards are each worth a total of €50. All this speak of bonuses and promotions might be redundant if the Unibet Casino didn’t have a range of games to back it up, but at this casino you’ll find some of the finest games online. NetEnt are the primary provider of their software, where you’ll find some of the best instant play games online, while you’ll also find some of the best offerings from gambling industry giants such as IGT, MicroGaming and Evolution Gaming. Slot sections are always very popular and you’ll be impressed by the wide variety of high quality games. You’ll find a total of nearly 400+ games to keep you occupied and there is literally something for everyone here. Jackpot hunters will enjoy the opportunity of taking home one of the largest payouts online when playing Mega Moolah – win this and your summer holiday might be that little bit sweeter as you’ll have millions of pounds in your bank account. Other large jackpot slots include Major Millions, Arabian Knights and Mega Fortune Dreams, while smaller progressive jackpot payouts can be won at games such as Mega Joker. Of course, there are some fantastic non jackpot slots too. If you haven’t tried games such as Gonzo’s Quest, Immortal Romance or Thunder Struck II you are certainly missing out, while Leprechaun Goes to Hell is an excellent slot which is exclusive to Unibet. This casino has a total of 21 exclusive games, you can find these listed separately via the ‘Casino’ section of the site. Players who enjoy table games have the choice of playing in both the online and the live casino, where a variety of blackjack, roulette, casino hold’em, baccarat and many others are all available. Video poker is always popular too and Unibet have more than 50 varieties available, one of the most comprehensive lists of VP games online. Unibet was launched in 1997 and has stood the test of time in the two decades since, no mean feat in an industry where new casinos are appearing all of the time. Originally, Unibet would just offer sports betting, but over the years all forms of gambling have been added to their portfolio, including of course, the casino. The Unibet online casino makes use of software from a number of the premiere developers in the industry, meaning they offer a varied and large range of games, while the quality remains high throughout. There is little doubt that Unibet is a great destination for your casino play in 2019. If you’ve never played at the Unibet casino before, you’ll be welcomed with that impressive 200% deposit bonus as well as those free spins that could also give you an instant boost. Make sure you keep an eye on those daily offers too – Tuesdays and Sundays for slots, while weekend Blackjack warriors could also be in the money. Refer your friends too and both you and them will see a nice boost to your bankroll. Head to the Unibet Casino now and check out the latest deals – your bankroll won’t regret it!